I love it. So serene! Ruth's Bird Deli now open for feathered friends! Artist Reply: That is so amusing Seth, thank you! Lovely photo ! It must be amusing and lovely to sit there and watch them .... So very peaceful ! 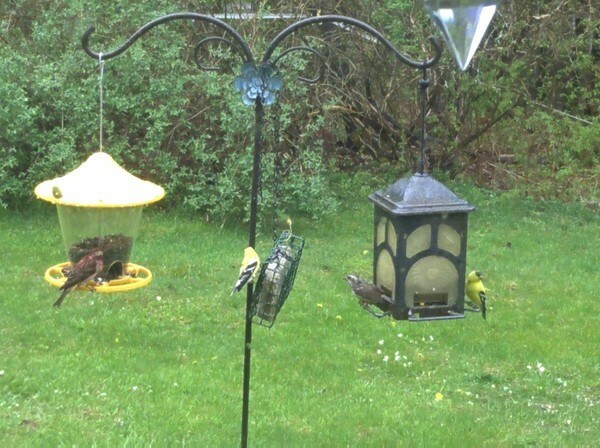 YOUR FEEDERS ARE WELL APPPRECIATED, RUTH! !YOU HAVE PLENTY OF VISITORS !!! GREAT !!!!! !